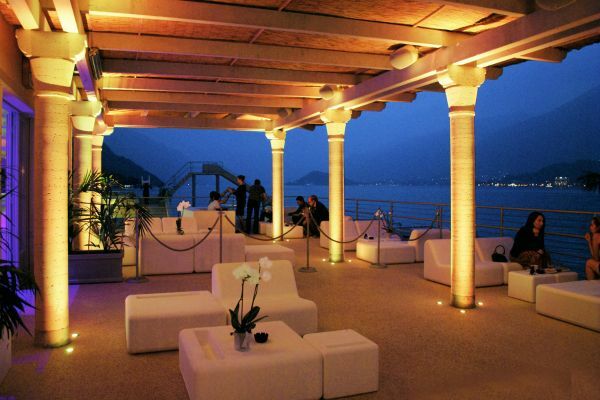 The Fantastic Beach Club in Bellagio is a wonderful place to spend hours of relaxation, including sand, lake, in a breathtaking setting. 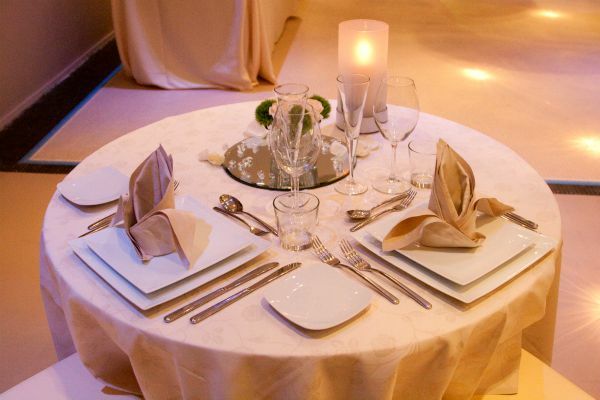 It is the perfect location for your wedding or for a nice and informal meal with your party. In the historical center of Bellagio, “The Pearl of the Lake Como”, the Lido, a rationalistic building of the 40s, is a really charming and elegant place. Surrounded by breathtaking scenery, it is the only place in the world where your dreams will be fullfiled and will become true. 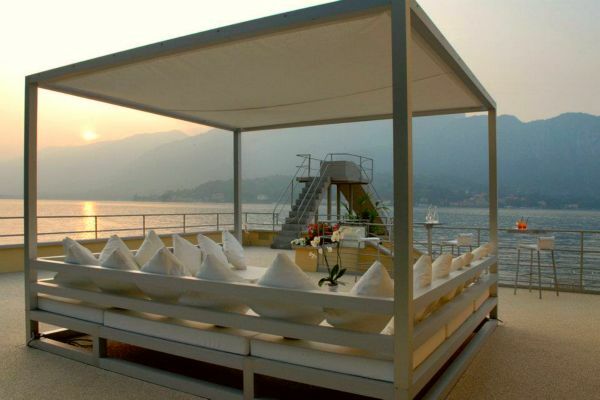 From the beach access to a wide bathing area between the historic center of Bellagio and Villa Melzi. 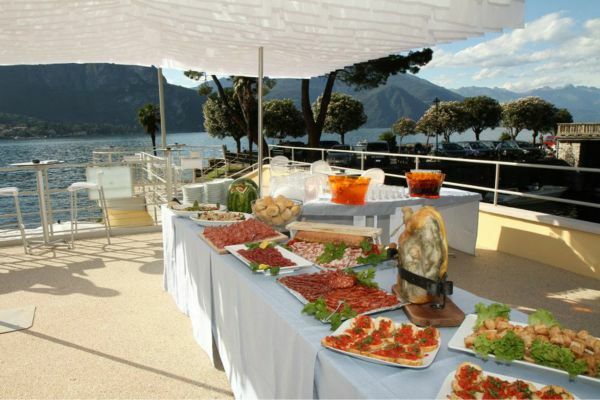 Enjoy a day by the lake with a refreshing alcoholic or soft drink; the bar offers a tempting array of sandwiches, hot and cold dishes and a wide range of grilled dishes. Every evening aperitif starting from 6 pm. Happy hour on the beach with a large buffet on Sunday from 5 pm. Dress code: casual beach. At the Venue it is possible to arrange from a full Wedding reception (and Ceremony) to a simple Brunch…This location allows for any type of request and budget. Menus for receptions and set meals are available upon request. 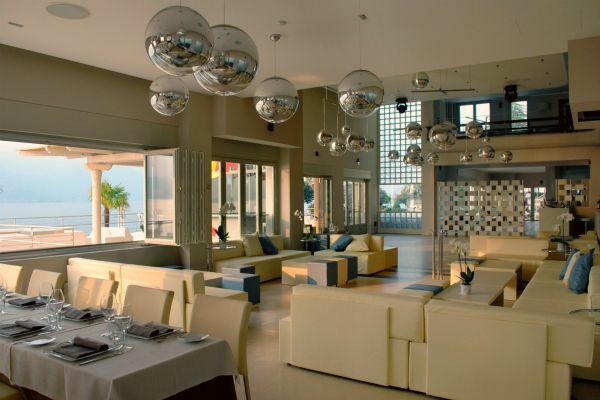 Your guests will be delighted with the modern design and the wonderful atmosphere of the Beach club. 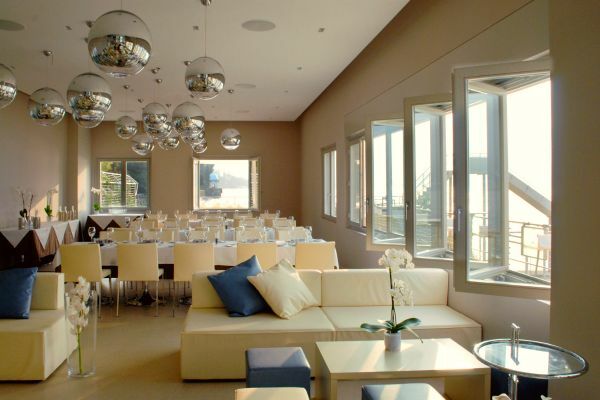 The location is really bright and cozy, with windows that allow you to enjoy an unique and charming view on the Lake. 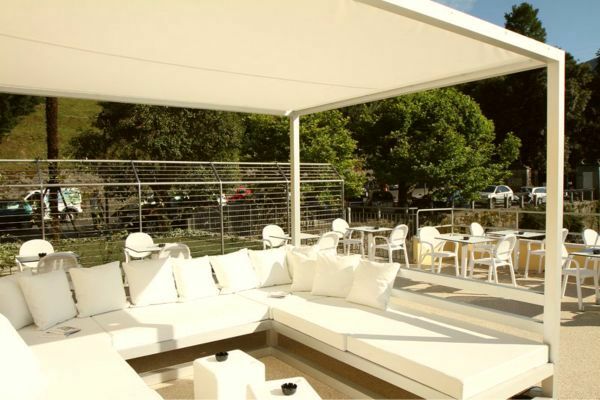 You will be able to organize your party on multi level terraces and even on the beach, where just adding some gazebos you’ll turn your party in a really exclusive and refined party. 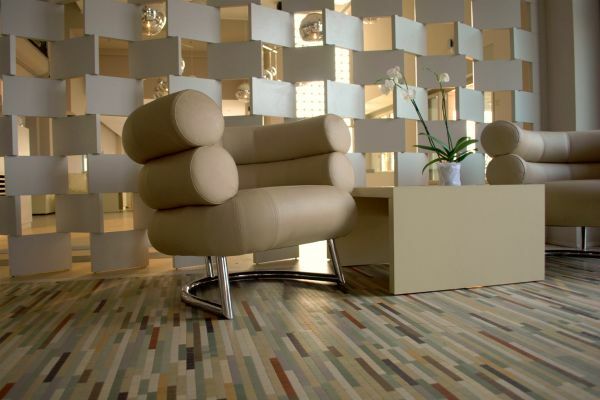 Every room or terrace can be fitted out according to your specific request. Thanks to its wonderful setting, it offers the answer to every special request for the celebration of your event in a pleasant and peaceful atmosphere …a mix of retro-vintage and contemporary style , will make your party unforgettable.